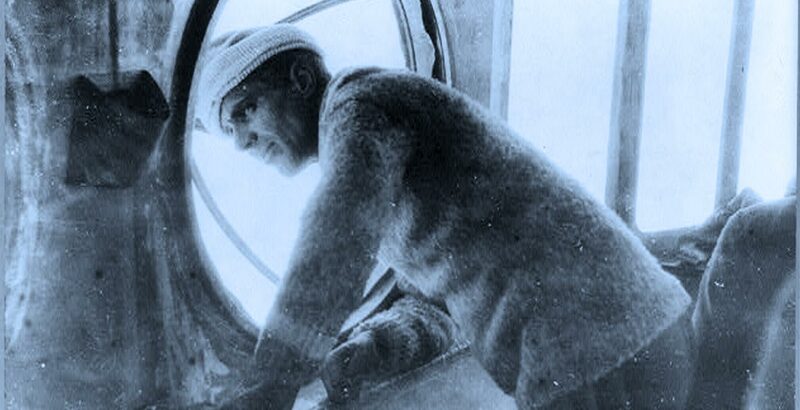 The Italian explorer and airship designer Umberto Nobile (1885-1978) was a pioneer in Arctic aviation. His dirigible flight over the North Pole encouraged greater use of aircraft in the Arctic. Umberto Nobile was born in Lauro, Italy (near Naples) on January 21, 1885. One of seven children whose father was a government official with limited income, Nobile had to earn his own way at the University of Naples. His early interest in aviation led to a career in dirigible design and construction. Physically unfit for active service in World War I, Nobile was commissioned in the Italian Air Force and became director of the military factory of aeronautical construction in Rome and eventually a general. His professional skills and long hours of work made him a leading designer of lighter-than-air craft. Convinced of the superior airworthiness of semi-rigid airships, he designed and built dirigibles for the navies of Italy and other countries. Umberto Nobile graduated from the University of Naples with honours in engineering. In autumn 1925 Norwegian explorer Roald Amundsen sought out Nobile to collaborate on a flight to the North Pole – at that time still an unreached goal for aviators – using one of Nobile’s craft. Amundsen had previously in spring 1925 flown to within 150 nautical miles (280 km) of the North Pole in a pair of Italian-built Dornier Wal flying boats. However, their planes were forced to land near 88 °N and the six men were trapped on the ice for 30 days. The Italian State Airship Factory, which had built Nobile’s N-1, made it available for the expedition March 29, 1926. Amundsen insisted in the contract that Nobile should be the pilot. 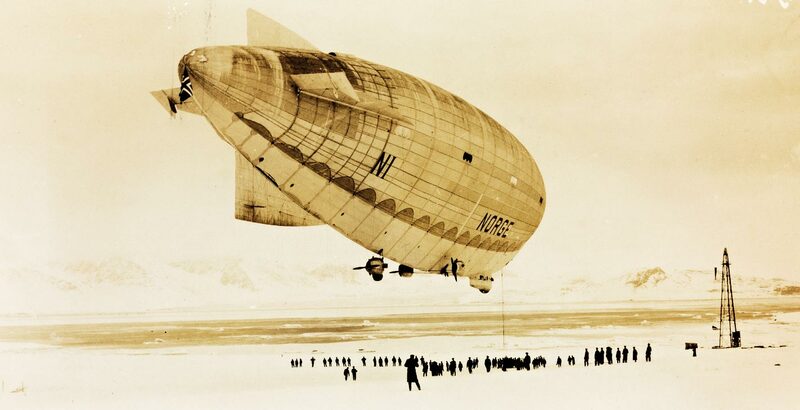 Amundsen named the airship Norge (Norway). On April 14 the airship left Italy for Leningrad in Russia with stops at Pulham (England) and Oslo. On its way towards its Arctic jumping-off point, Ny-Ålesund (Kings Bay) on Svalbard, it also made a stop at the airship mast at Vadsø (Northern Norway). Nobile flew the airship himself the long distance from Rome to Ny-Ålesund on Svalbard. On 29 April Amundsen was dismayed at the arrival of Richard E. Byrd’s American expedition, which also aimed to reach the North Pole. On May 9, after Byrd and Floyd Bennett departed in their Fokker F-VII and returned less than 16 hours later claiming to have flown over the Pole, Amundsen was one of the first to congratulate them. The crew of Norge still pressed ahead with its flight. Byrd’s co-pilot Bennett is said later to have admitted that they faked their flight to the Pole. On May 11, 1926, the Norge expedition left Svalbard. Fifteen and a half hours later the ship flew over the North Pole and landed two days later in Teller, Alaska; strong winds had made the planned landing at Nome, Alaska impossible. The Norge “Rome to Nome” flight was acclaimed as another great milestone in flight, but disagreement soon erupted between Nobile (designer and pilot) and Amundsen (expedition leader, observer and passenger) on the flight, as to who deserved greater credit for the expedition. The controversy was exacerbated by Mussolini’s government, which trumpeted the genius of Italian engineering and ordered Nobile on a speaking tour of the United States, further alienating Amundsen and the Norwegians.